Venezuela: Will India give in to US pressure? Where there is oil and natural gas there is the potential for conflict. From West Asia to the South China Sea, from Latin America to Central Asia and in places across Africa, the control of the sources of energy—the fuel of economic growth—has been a key factor in defining conflict through most of the past century. During the cold war, many such conflicts were garbed in ideology. With the fear of communism overpowering capitalism declining, with China chasing capitalism in the name of socialism, the naked use of power to grab oil and gas became all too visible. No other commodity has moved the militaries of the United States and its allies around the world more than oil and gas. No other commodity has been responsible for regime change in the developing world more than oil. 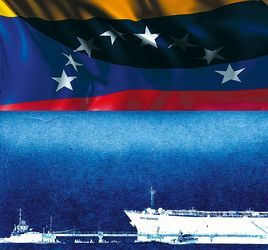 Venezuela is the latest geopolitical hot spot where oil has once again become a weapon. Seeking regime change in Venezuela, the US, its biggest customer for oil, has imposed sanctions on the former’s oil exports. It wants other countries to follow suit in the name of democracy. India is Venezuela’s second biggest customer and needs that oil. Though, under the circumstances, Venezuela needs the Indian market more. So Venezuela has, understandably, offered India a barter deal that will enable India to pay rupees for oil. Venezuela will then have to buy Indian goods to make use of the cash. The incentive for India, apart from continued access to Venezuelan oil, would be an increase in demand for Indian goods. Venezuela has long enjoyed a trade surplus with India, with Indian manufacturers having difficulty in accessing the Venezuelan market. This is not the first time that the US has exerted pressure on India to give up buying oil from one of their adversaries. US sanctions on Iran have forced India to find new ways of keeping that flow coming even as the quantity imported has been curtailed. But, Venezuela is not Iran. Not only is Iran an important geopolitical neighbour, given the access it offers to Afghanistan, Central Asia and beyond, some of India’s refineries can only process Iranian crude. India used both arguments effectively in dealing with the pressure exerted by the US to join in on the Iran sanctions when Manmohan Singh was negotiating the civil nuclear energy deal with former US President George Bush. Even the unpredictable Donald Trump has offered India some flexibility in dealing with Iran after he re-imposed sanctions. Will President Trump be as accommodative when it comes to Venezuela? These are dog days for Venezuela. Not only has the regime of President Nicolas Maduro become less popular but the oil market, too, has become less stressful for buyers. The rise in the use of gas and renewables in both developed and developing countries, along with the growth slowdown both in the West and China, have given consumers like India some breathing and bargaining space. If there was one thing going for Venezuela in India it was the fact that one of its major buyers was the highly influential Reliance Industries. But, Reliance is not only sharply reducing its purchase of crude oil from Venezuela, it has also decided to stop exporting refined products to that country. Reliance has important business interests in the US, generally and specifically in energy, and so it has decided to fall in line with the US rather than face sanctions. The government of India, however, will have to show diplomatic spine and take a more long-term strategic view. It is not easy and how successful New Delhi is in balancing friendship between the US and Venezuela will test India’s diplomatic skills.